Drivers of motor vehicles are supposed to yield to pedestrians and bicyclists crossing the street. Unfortunately, this doesn’t always happen. People crossing streets on foot or on bicycle are often struck by turning vehicles or vehicles whose drivers aren’t paying attention. 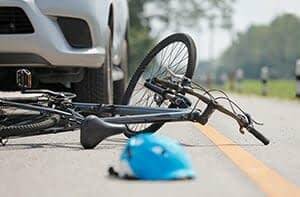 At the Jersey City personal injury law firm of Krivitzky, Springer & Feldman, we have successfully represented injured bicyclists and pedestrians struck by vehicles for over 40 years. Our attorneys have significant experience dealing with the special issues that often arise in these types of cases, regarding liability and insurance coverage. The driver that hit me said it was my fault, can I still make a claim? I wasn’t crossing at the crosswalk when I got hit does that matter? My young son was hit crossing the street and the driver says he darted out between parked cars, is there a case? There was no school crossing guard and my child was hit by a car. Is the school responsible or the driver, or both? I was riding my bicycle against the flow of traffic and got sideswiped. Can I recover from the car that hit me. The car that hit me fled the scene, can I recover from the State? Whose insurance will cover the medical bills? Should I talk to the insurance adjusters? Krivitzky, Springer & Feldman can answer these questions and most other questions regarding a bicycle or pedestrian accident. Don’t believe the other driver or police officer who tells you the accident is your fault. Because every case is different, the best advice can be provided if you call our Jersey City office at 201-798-2711201-798-2711. You will speak with an experienced accident attorney at no cost and no obligation to you. We can answer many questions right on the phone and, if you like, schedule a free in-person consultation at your convenience. If you have been injured, or a family member has, as a pedestrian or bicyclist struck by a vehicle, we can help you. We will determine which insurance will pay your medical bills and submit the appropriate paperwork. We work with the hospital and medical providers to ensure payment of their bills and to obtain the medical records and reports necessary to prove your injuries. We will fight with the insurance company to obtain the maximum recovery for your injuries, pain and suffering, expenses and lost wages. Feel free to view our FAQ page for answers to some of common questions. Call the Jersey City law firm of Krivitzky, Springer & Feldman at 201-798-2711201-798-2711 for a free consultation. You may also contact us by e-mail to ask a question or to schedule a convenient appointment. Krivitzky, Springer & Feldman accepts pedestrian/bicycle accident and other accident cases throughout Hudson County, Bergen County, Essex County, Passaic County, Morris County and Union County and throughout most of Northern New Jersey.